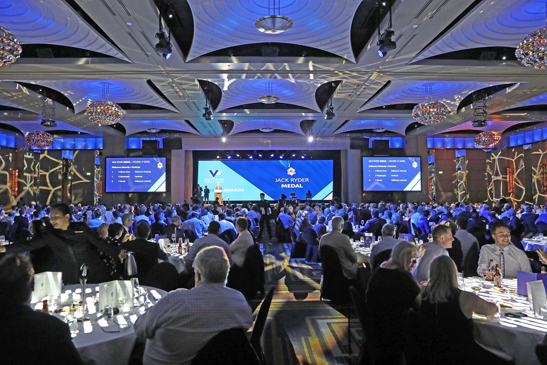 The Una Paisley and Jack Ryder Medals were awarded at the Premier Awards Night at Crown Palladium on Friday evening with the honours going to Melbourne's Hayley Jensen and Camberwell Magpies' Brendan Drew. Jensen took out the Una Paisley after polling 26 votes, eight votes clear of former winner Emma Inglis with Molly Strano and Amy Vine finishing equal third. The first winner from the Demons, Jensen hit 283 runs at 70.75 and took 13 wickets at 10.15. Camberwell Magpies skipper Drew was crowned the Ryder Medallist finishing two votes clear of Carlton's Tom Smyth. Drew scored 474 uns at 43.09 and took 30 wickets at 16.07. In other awards, Carlton (men) and Napoleons/Sebastopol (women) were awarded the Spirit of Cricket Awards, Carlton's Princes Park was adjudged the best Premier ground of 2016-17 and Essendon Maribyrnong Park's Chloe Rafferty was awarded the June Cole Best First Year Player Award. The men's and women's team of the season was announced with Drew and Inglis named Captains. For a full list of award winners click here.